I know I am very late on the train and that it has been a long while since every beauty blogger, makeup guru and every other makeup addict is raving about this Laura Mercier loose powder but what can I say… I have been saving for it? haha Anyways, I finally have it and now it is time to talk about it! Keeping my foundation and concealer in place during those fourteen hour shifts was always a problem and at the end of the day I would look in the mirror and all my foundation had disappeared on my chin and my under eye area was horribly creasing. Knowing that drugstore products would probably not help me at all, I had to go a bit overboard and spend a few pounds on a high end powder. After reading a lot about this product and seeing it in action in YouTube videos, I was convinced and bought it straight away. First I have to say that the packaging is sleek and very classy. Simple but it looks amazing on top of my acrylic makeup storage. This product is around £29 and I think that it is actually quite a fair price for the quality and quantity you get. Being a loose powder it is very – and I mean VERY – long lasting. A little goes a long way and so the amount you get in the package, 29 gr, will last forever (unless you bake your face everyday!). 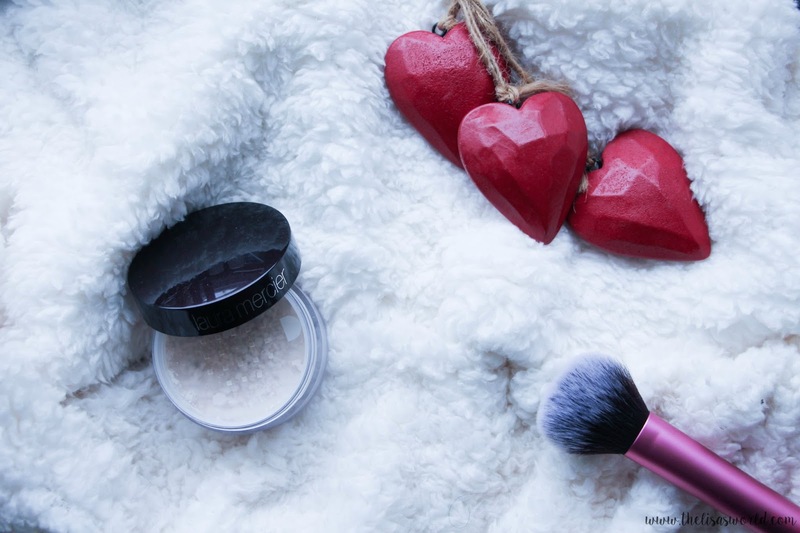 The Laura Mericer Translucent Loose Powder as a matte finish and it is very light weight – I love that about it! It feels very silky on my skin and it gives quite a “soft-focus” appearance to my fine lines. I always had the trouble to have those very noticeable fine lines around my mouth from when I smile and I have to say that with this powder that is not happening at all! I still have some trouble under my eyes as my concealer still creases but I am thinking that it might be the concealer that I am using because NikkieTutorials uses this powder and there is no creases in that stunning face right?! Having a mixed skin type is sometimes a problem as in some areas I am dry and others oily so using a powder that is too matte will make my skin even drier. With this loose powder I am not having that problem. My chin area tends to be very oily – do not ask me why as I have no idea – and because of that my foundation does not set completely in that area. Using the Laura Mercier Loose Powder is avoiding all that oiliness and it is keeping my foundation in place for much longer than before! Drugstore makeup has always been my thing but recently, after trying more high end products I guess that will probably change! Not a good thing for my wallet, I have to admit. I am quite surprised with how good this product is but I guess that you get what you pay for, right? Have you tried this loose powder by Laura Mercier? Do you have any advice for my horrible cresing problem under my eyes? I would love to know your secret!